Cinema Cocina is dedicated to culinary films and this year it will include many films and activities related to film, cooking and gastronomy held in parallel with the movie screenings. 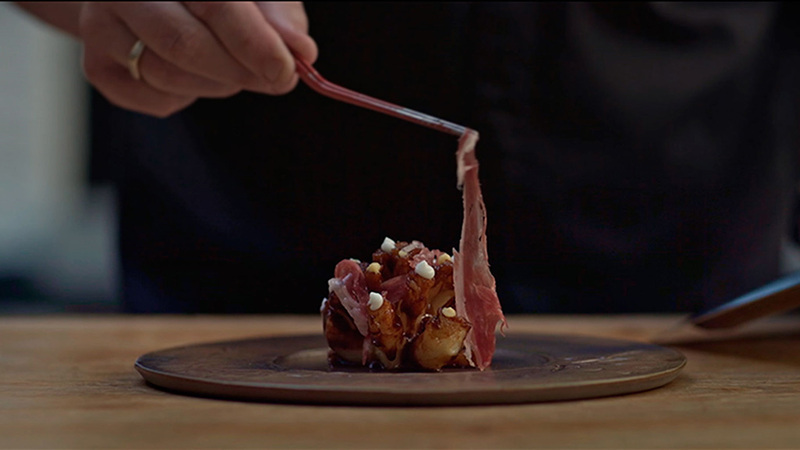 Coproduced by Zebra Producciones, Elephant and Joselito, was shot on the farms of the pioneer company in the Iberian sector and a world reference, captures the essence of what has been declared "the best ham in the world" and portrays the soul of Joselito, a legend that elaborates a product acclaimed by critics and great chefs. Everything begins in the countryside, where the pigs live in freedom at the pasturelands and where we meet Juan Luis Gómez, running the pasturelands and the animals, and José Gómez, who internationalized the consumption of ham. As the documentary captures, the passion for Joselito is shared by chefs like Massimiliano Alajamo, 3 Michelin stars, in Venice, who considers essential simplicity to connect with every person and Jonnie Boer, three Michelin stars, in Holland, for whom Cooking is playing with the diner's senses. Documentary directed by Alessandro Pugno, already awarded with the Silver Biznaga of the Malaga Festival for his documentary "A la sombra de la cruz" also produced by Zebra Producciones. "Throughout the surprising experience that has been shooting this documentary, I have realized that Iberian ham is not just meat, is a concept closer to the world of goldsmithing. It is the result of an alchemical journey that begins with a tree, in the Mediterranean meadow, and which has as ingredients nature, time and passion. "The director of the documentary comments.